I’ll admit that I’m one of Verizon’s biggest critics when it comes to the rate at which they update their Android smartphones to new software. They are unbelievably slow for the most part. In fact, I’ve pointed it out a handful times, particularly with the Galaxy Nexus and the amount of time it has taken to update a device that should be the easiest of all. But we also know that Verizon stands firm on their update practices, which have a reputation for being the slowest in the business. Their network is reliable, maybe even the most reliable after all, and they attribute parts of their success to their testing practices. But something seems to have changed in 2013. I ran through a list of updates released by them this year, and the number is impressive. I count 17 different devices receiving updates since the beginning of the year. The original Incredible, Thunderbolt, Lucid, Galaxy Note 2, Galaxy Tab 7.7, RAZR HD, Charge, RAZR, DROID 4, Galaxy S3, Galaxy Stellar, Intuition, Rhyme, Incredible 2, Rezound, DROID DNA, and Galaxy Nexus have all seen some sort of an update over the last three months, many of which were major. Now, it’s not all positive just because it’s an update. Devices like the Thunderbolt were promised updates back in the summer of 2012 only to finally receive them a short few weeks ago. Hell, the original XOOM 4G LTE still hasn’t received Jelly Bean and it’s technically a “Nexus” type of device. But if we overlook those few, even I have to give props to Big Red for getting the job done as of late. We can’t seem to go more than a couple of days without seeing another approval on an update for a different device. 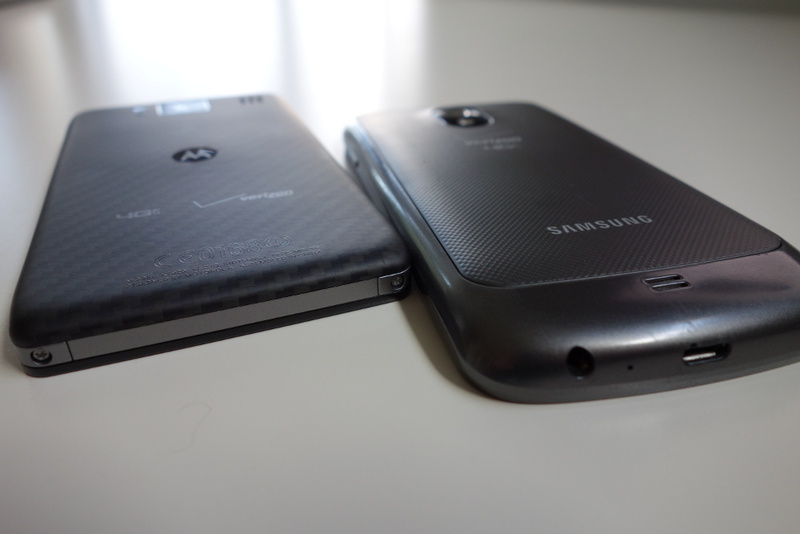 In the last 10 days alone we have seen updates for the Charge, RAZR HD, DROID 4, Galaxy Nexus, and original RAZR. Three of those updates were major (two to Jelly Bean and another to 4.2.2). We aren’t sure if Verizon’s update process has been streamlined recently to be more efficient, if manufacturers are finally getting the hang of this update thing which in turn means submitting better builds to Big Red’s testing team, or if there was a stockpile of updates that are just now seeing mass approval. As surprising as this may sound, I’d lean towards one of those first two options. If you look at the Galaxy Nexus and its recent move to 4.2.2, Verizon took just over one month to get that update ready and push it out. Sure, they managed to skip three other updates along the way, but if you look strictly at 4.2.2, which was released by Google around February 11, Big Red managed to fit it into their update schedule, which included another dozen or so devices, and still push it out five weeks later. Not bad, if you ask me. So from one of the most annoying and at times harshest critics in the wireless industry, all I can say is, great job, Verizon. Keep it up.